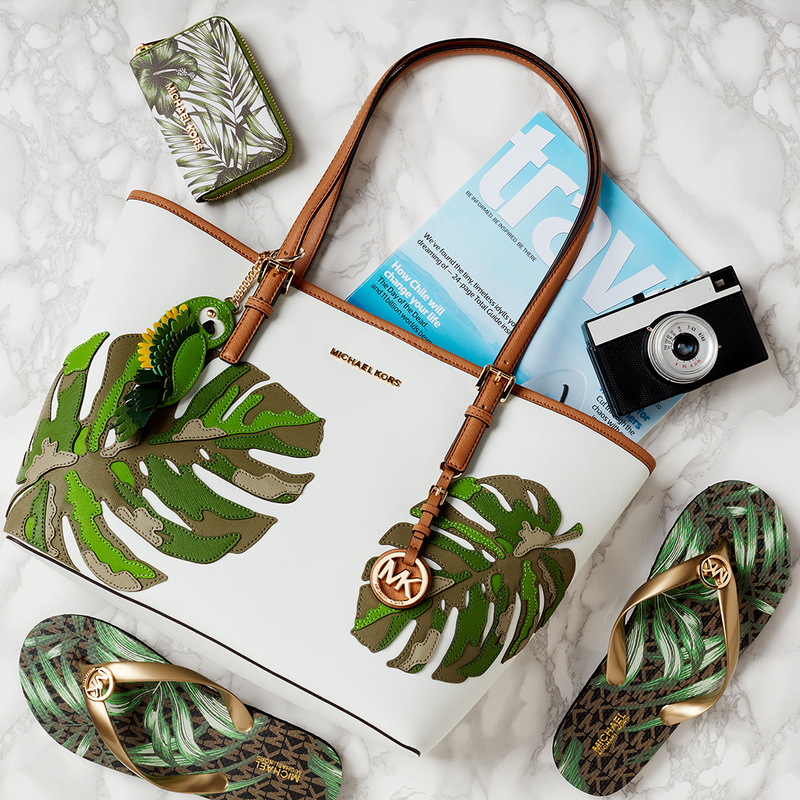 Michael Kors adds a tropical twist to its classics with a line-up of hibiscus leaf-print carryalls, clutches and convertible shoulder bags fit for every city, countryside or island escape. 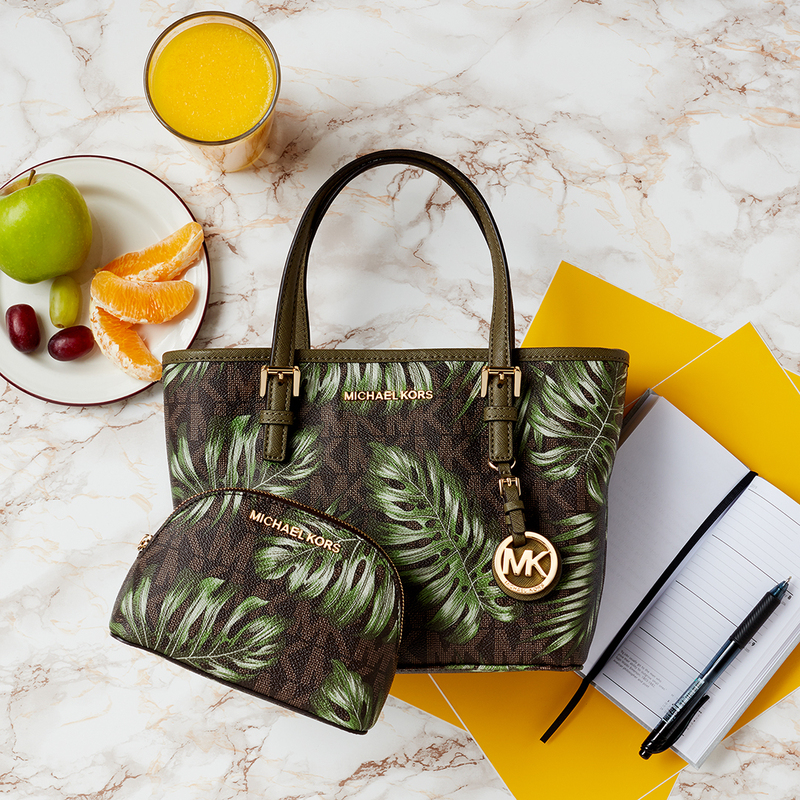 With an all-over hibiscus leaf-print on top of the usual logo print, this leather pouch is must-have summer accessory. 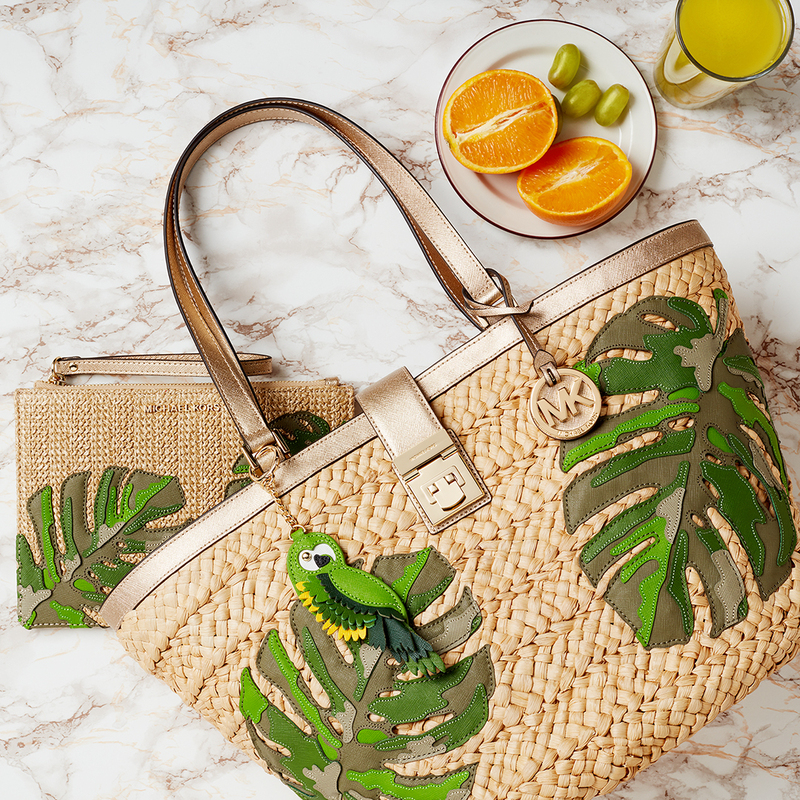 Carry it when you attend your next beach wedding, styled with a floral mini dress, a ribbon-trimmed fedora and mirrored sunglasses.